Motorola has officially unveiled its Droid Xyboard tablets. As we suspected, they are rebranded Xoom 2 tablets, which were announced last month. If you care to look at that post, you’ll see the same specs we’re about to explain again. 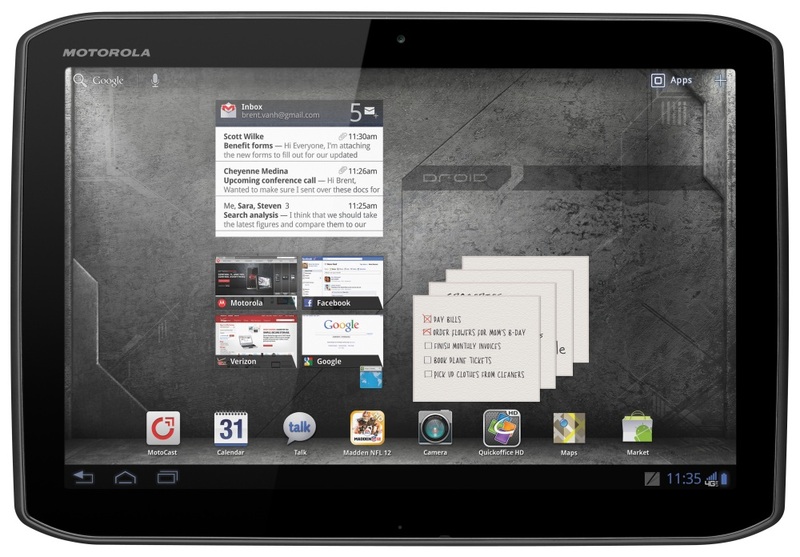 The move from the Xoom brand to “Droid Xyboard” was likely made due to lackluster sales of the original Motorola Xoom, which, like all Android tablets outside of the Kindle Fire and Nook Tablet, hasn’t topped any charts. If tablets aren’t on your mind, we’ve also snagged some pictures of the new white Droid Razr. There are two Droid Xyboard models: an 8.2-inch version and a 10.1-inch version, and both are spiritual sequels to the original Xoom, but this time with 4G LTE built in from the get go. Both versions feature Android Honeycomb (upgrade coming soon), a 1280×800 display, a 1.2GHz dual-core processor, 1GB of RAM, 16GB of internal storage, a 5MP rear camera, a 1.3MP front camera, gorilla glass screens with a splashguard, and 4G LTE, of course. Pricing is still a bit expensive. The Droid Xyboard 10.1 will cost $530 for 16GB of storage, $630 for 32GB of storage, and $730 for 64GB of storage. The Droid Xyboard 8.2 follows the same pattern, costing $430 for 16GB and $530 for 32GB. Both models will be released in December. Have you heard? White is the new gray. Every phone will probably start coming with a white option because it’s the hip thing to do. The Droid Razr is not one to get left behind on trends. The world’s thinnest smartphone is now the world’s least-white…white phone. The white on the new Razr seems to be more of an accent color than anything else. The Kevlar back, mirrored camera protrusion, side groove, and screen of the phone are all gray and black. Still, if you like a bit of white, the Droid Razr will now accommodate. The white version should be available soon. 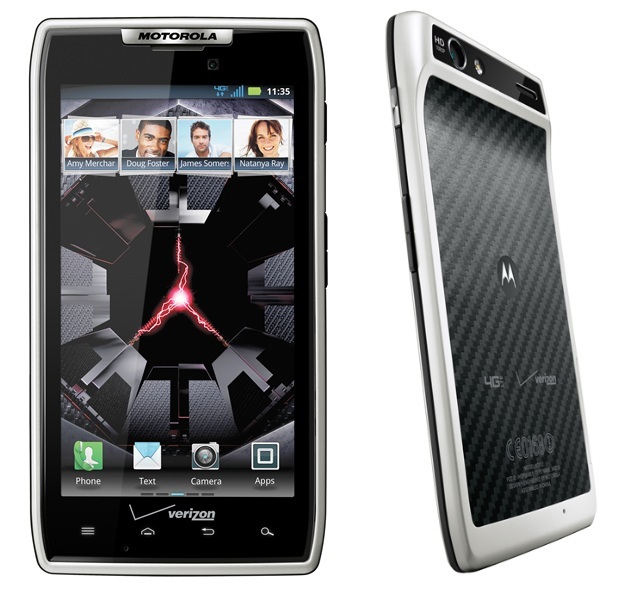 Update 12-14-2011: Verizon says the white Razr will be available Dec. 15 and cost $300 with a two-year contract, the same as a regular Droid Razr.